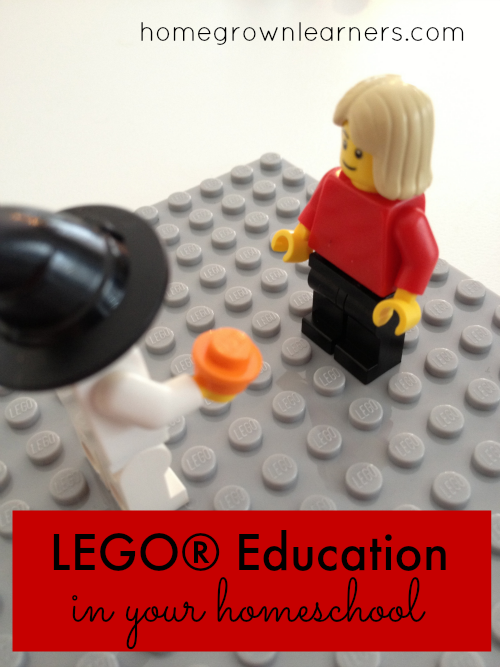 LEGO® Education has enhanced our homeschool in untold ways. My son actually sees most of life in LEGO bricks (if you have a child that is LEGO obsessed you know what I mean!). Our curriculum pieces from LEGO® Education have been such a blessing. As you are thinking about curriculum for next year, I want to remind you that I have many reviews of LEGO® Education materials here on the blog. You can find appropriate age ranges, our impressions, and more. Better still, in this post I will share with you how WE USE LEGO® Education and also a very special deal on two of their products. The biggest "complaint" I hear from people is that the products are expensive. Guess what? I don't think they are expensive, I think they are an INVESTMENT that will last many, many years. The products from LEGO® Education grow with your children and are usable through all curriculuar areas (math, science, writing, reading, and so much more). I know many readers who have put them on a wishlist for the grandparents or have just saved up to buy them. When people think of LEGO, Language Arts doesn't normally come to mind. There is curently a DEAL on the LEGO® Education StoryStarter and BuildToExpress sets through the Homeschool Buyers Co-Op. This is the lowest prices you will see this year, so if you are looking to purchase, do it now. The group buy will continue through the month of April -- please visit the group buy site to take advantage of the savings. *Amy, at Milk and Cookies, and I are the LEGO® Education Homeschool bloggers. It is our goal to let you know about the AWESOMENESS that is LEGO® Education and open the doors for some wonderful STEM learning opportunities for your homeschoolers! Visit Amy's blog to check out all of her LEGO® Education reviews and other LEGO goodness. 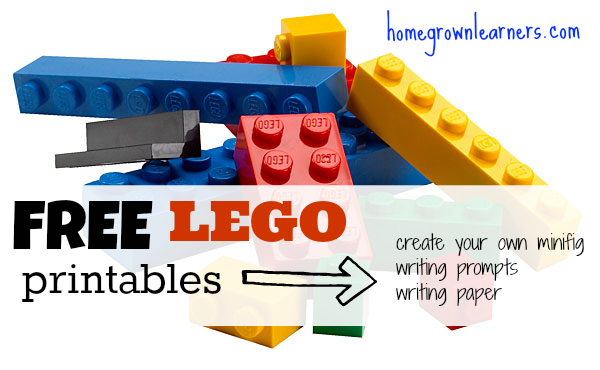 Please also check out the free LEGO resources I have available here on the blog. There are printables, lesson ideas, coloring sheets, and more!